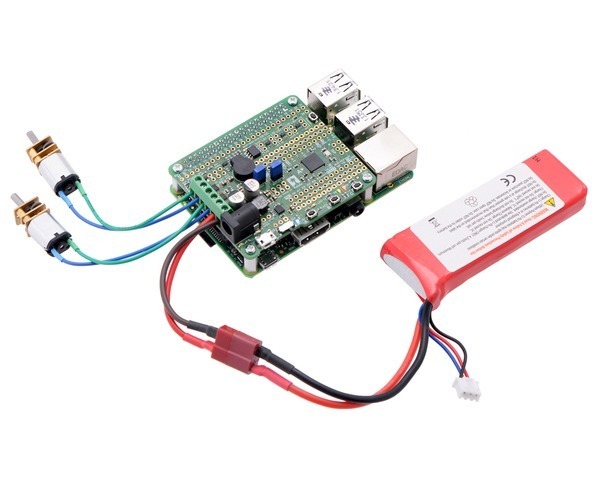 This programmable module combines with a Raspberry Pi to serve as the control center of a small robot or electronics project. Its ATmega32U4 AVR microcontroller comes preloaded with an Arduino-compatible bootloader, and the board includes dual motor drivers that can deliver 1.7 A per channel to two brushed DC motors. An efficient voltage regulator (5.5 V to 36 V input) and level shifters enable it to power and communicate with a Raspberry Pi. 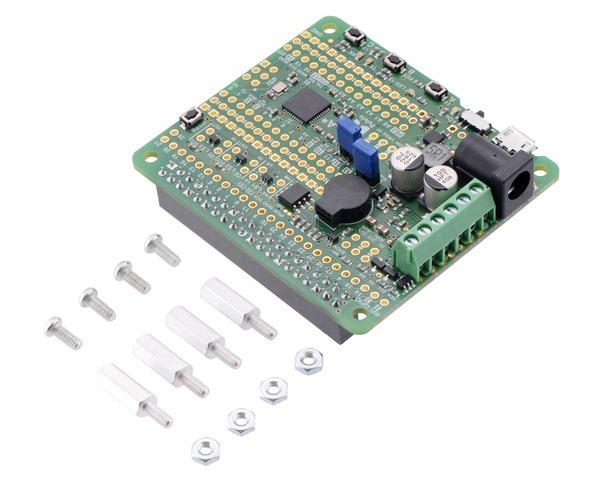 This version is assembled with selected through-hole connectors and components installed for use as a Raspberry Pi add-on. 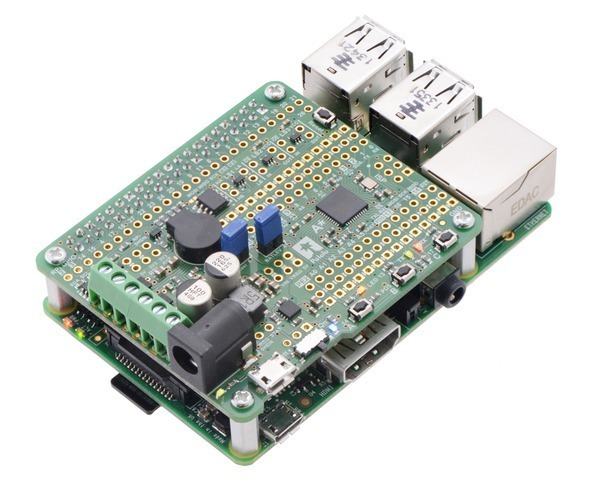 This version of the A-Star 32U4 Robot Controller SV with Raspberry Pi Bridge (5.5 V to 36 V input voltage) is assembled with selected through-hole connectors and components for use as a Raspberry Pi expansion board, as shown in the picture above. A 2×20-pin 0.1″ female header is preinstalled to serve as a Raspberry Pi GPIO connector, and a 6-pin strip of terminal blocks and a DC power jack are mounted for motor and power connections. A buzzer is also installed, along with two 2×1-pin male headers and shorting blocks for the buzzer and battery level jumpers. This version ships with a set of four M2.5 standoffs (11 mm length), screws, and nuts that can be used to secure the board to the Raspberry Pi at the proper height for the GPIO connector.